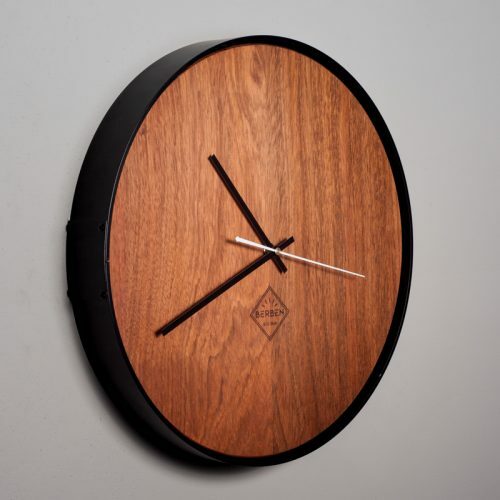 The Berben Solid Wood Clock is a true addition to your home. 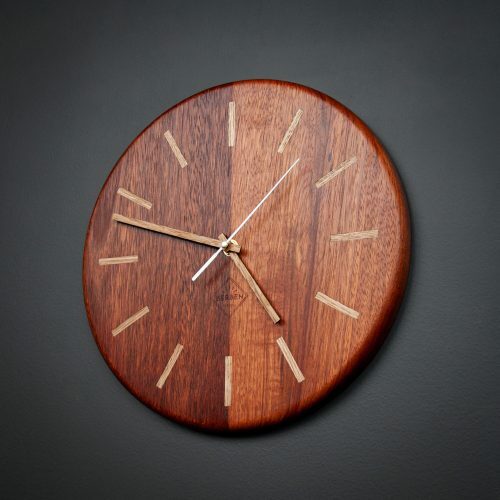 Made out of solid wood and aluminium, these handcrafted beauties provide a solid, authentic and natural look. Because we pick the raw timber ourselves, we make sure that you’ll get the best possible wood inside the aluminum frame. From start to finish, the process is pure handwork. 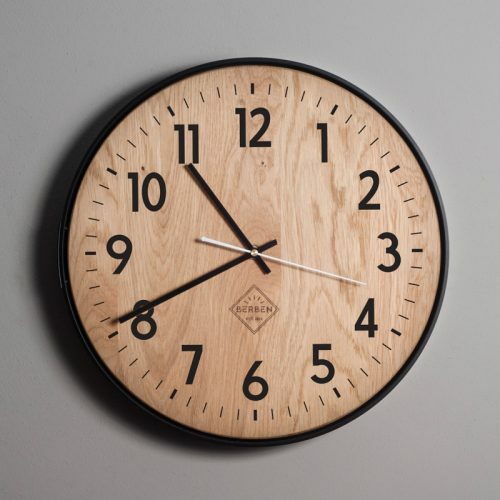 The clockfaces are shaped into a perfect circle, the metal is manually rolled to it’s shape, and the figures are applied to the clockface by hand.